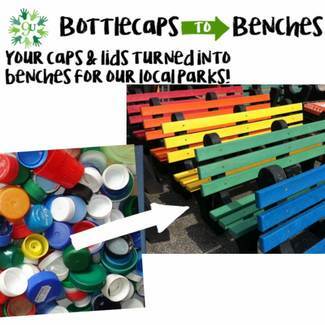 Our Bottlecaps to Benches project has been quickly embraced by our Forest Hills schools and community; we need your help to continue the project’s success! We look forward to offering our kids and community this unique way to support our incredible local parks and appreciate your help in making it happen?? Serve as the primary contact(s) for schools and organizations who are involved in the project or would like to be. Students & adults welcome! Just let us know you are interested in helping and we’ll contact you when we have opportunities to help out. Sherwood Student Council would like to help. Have a truck and flexible schedule? 9United will cover your gas for the drive to Evansville to pick up a bench when we’ve collected enough caps. Benches are 6’ feet long and weigh about 400 lbs.